Location, Location (see map): There are seven miles of pristine, quartz sand beaches shimmering along our island and you’ll be sitting within walking distance. Nothing between you and the salty , azure waters but one sunscreen application and a pair of flips flops (You can see the beach access of 66th St from in front of the vacation home). You will have a short 5 minutes walk or 1 minute bike-ride to the beach. 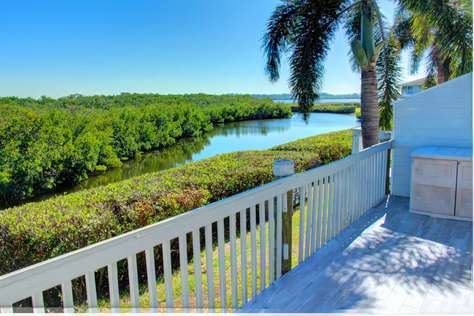 But with this perfect located vacation home you also have the possibility to bring your boat or put your kayaks in the dock. Visit a sandbank with it`s wonderful shells or the Island of “Egmont Key” with it`s wildlife and amazing beaches. Or a paddle-tour with the kayaks through the azure sea, next to manatees and dolphins. Prepare your drinks at home and walk to the beach for these incredible sunsets at the Gulf of Mexico. With this beachhouse you can have it all. Refresh in the crystal-clear pool when coming back from the beach or boat-trip, relax in the quiet, tropical and spacious garden area while watching the springing fishes and herons in the canal. 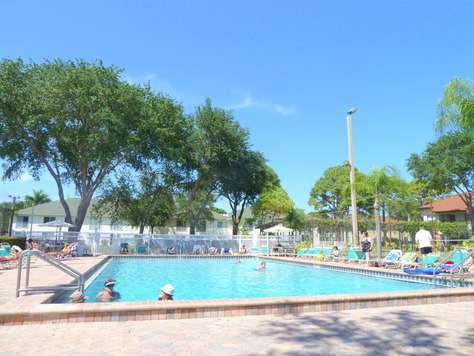 Keep sitting under the covered outside area at the pool when you will be surprised by this short “liquid sunshine of Florida” during your barbecue and enjoy. 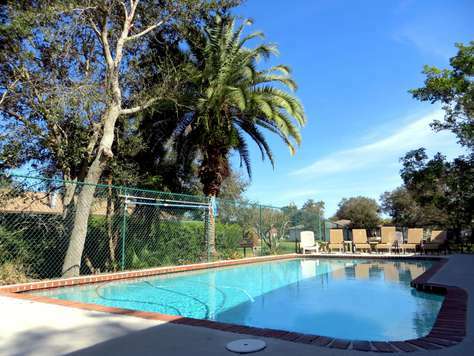 You love to play tennis, walk to local shops or Restaurants? Both takes you only a 5 minutes short stroll as well. 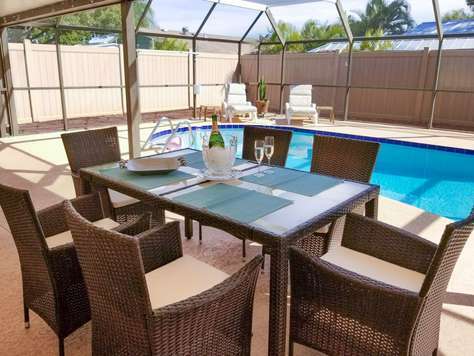 Golf Players can enjoy the Key Royale Golf Clup within 3 minutes by car while the rest of the party walk to the beach or to the local shops or enjoy the peacefull atmosphere only a canalfront home can offer. Hop a ride on the free and air-conditioned Island Trolley just arround the next corner. It runs from 6am to 10pm in a leisure loop through Anna Maria City, Holmes and Bradenton Beaches to take you anywhere around the area. Because it is so close to the vacation home you can use it as your “own private shuttle”. The two guest bedrooms are ensuite with their bathroom while the master bedroom area has a private entrance, vaulted ceiling and a bathroom that features a glass-enclosed shower, Jacuzzi spa tub, and even a bidet. 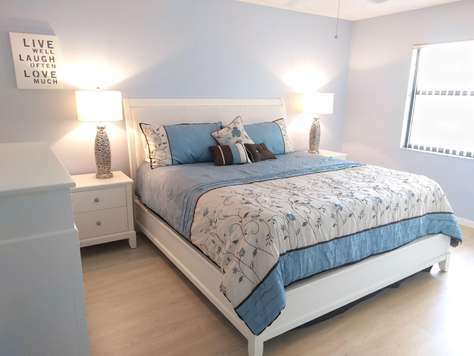 The master bedroom has a king size bed, the other two bedrooms have twin beds, which can be put next to each other. 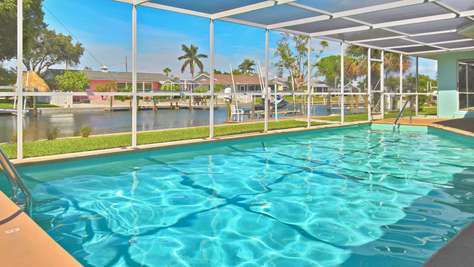 The living area and one of the bedrooms have sliding glass doors to the pool deck and nice views of the canal. The kitchen is well equipped with dishwasher, a glass ceramic stove, an oven, a side by side, a microwave, a toaster and a coffee-machine. In the garage you will find a new washer (Frontloader) and a dryer for your convenience. Free high speed internet access included. 3 LED TVs for your entainment. 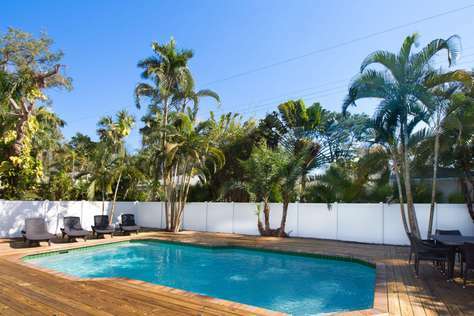 The home sleeps 6 guests (maximum occupancy per Holmes Beach ordinance). 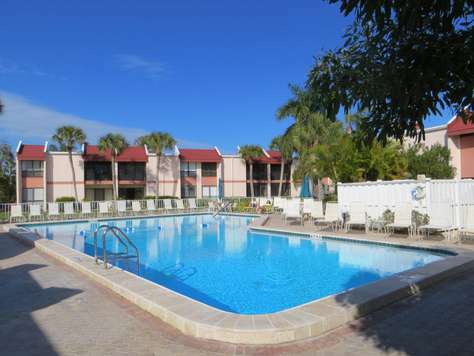 Gorgeous 2 BR/2 BA condo only steps to the Beach! 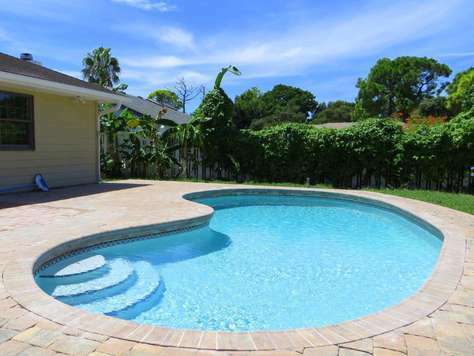 Pristine and beautifully remodeled 2 BR / 2 BA condo in Runaway Bay, Anna Maria Island. 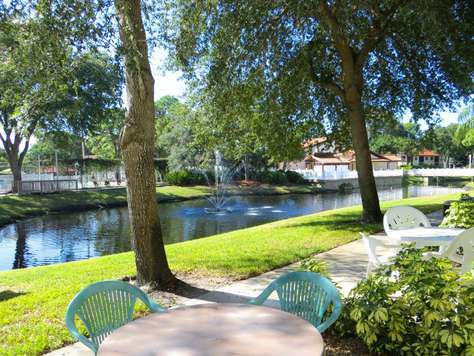 This smoke free and pet free second floor condo has everything you can wish for. Both bedrooms offer king size beds and HDTVs. The open and renovated kitchen and bar allow for ample entertaining and enjoyment. New floors and furniture in living room, dining room, and both bedrooms. The unit is fully equipped and has washer and dryer in the unit. 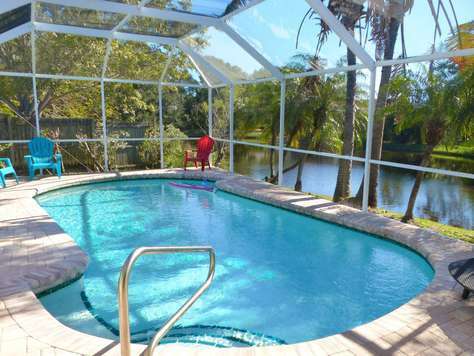 A screened lanai in the back invites to relax. 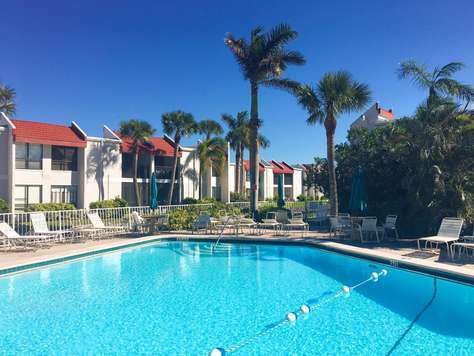 Runaway Bay is a gorgeous vacation resort on stunning grounds between the Gulf of Mexico and Sarasota Bay has been voted 'Best Resort' by Bradenton Herald. 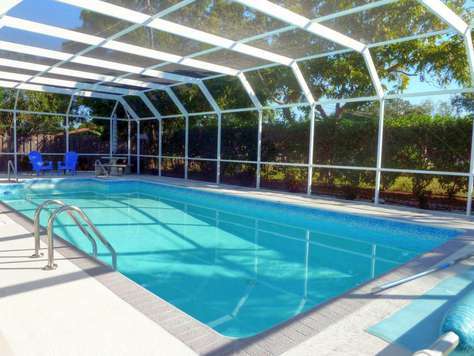 Enjoy the large heated pool, tennis court, exercise room, sauna, shuffleboard, and a private fishing pier on the bay. Runaway Bay also provides picnic tables and charcoal grills around the property for guests to use. Free private Beach Access is located just across the street. The popular Anna Maria Trolley stops right outside the complex and allows you to explore this beautiful island.